More from our roving reporter, who has been in the Hunter Valley. Lake Macquarie is just south of Newcastle, and is an ideal place for small boats - big enough for lengthy excursions, but still sheltered compared to the Pacific Ocean right next door. 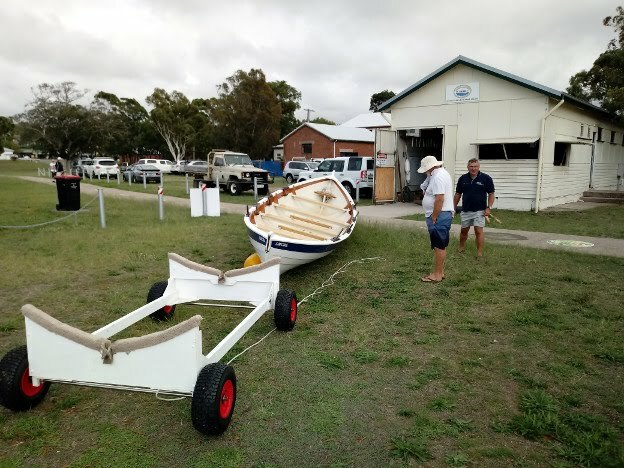 The immediate point of interest was the St Ayles Skiff 'Catalina', which has just been built and launched by the Association. 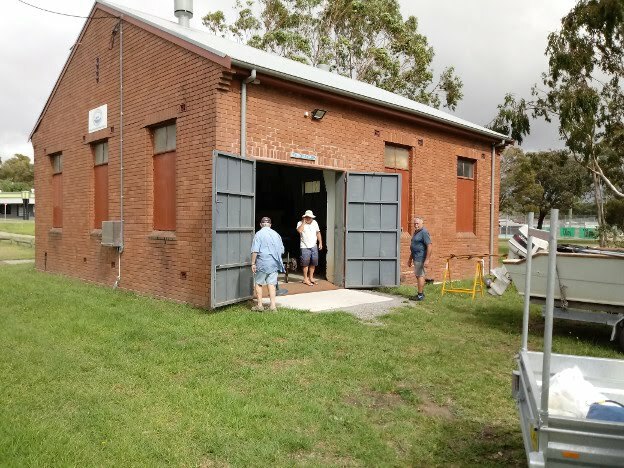 The mystery of the boat's name was revealed: the shed in which it resides is on the old RAAF base, from which they used to launch and fly Catalinas. 'Catalina' is being very actively rowed, and took part in their recent BoatFest 2018. She is only one of many boats being built, restored or used. One of the specialities of the Lake is 10 foot dinghies - ten foot hull that is, but more like 40 foot when you add in the bowsprit and the overhanging boom! One imagines that capsize drill is a priority. If you are visiting the area a trip down to the Association is a recommendation, Tuesday or Thursday 9am - 1pm. 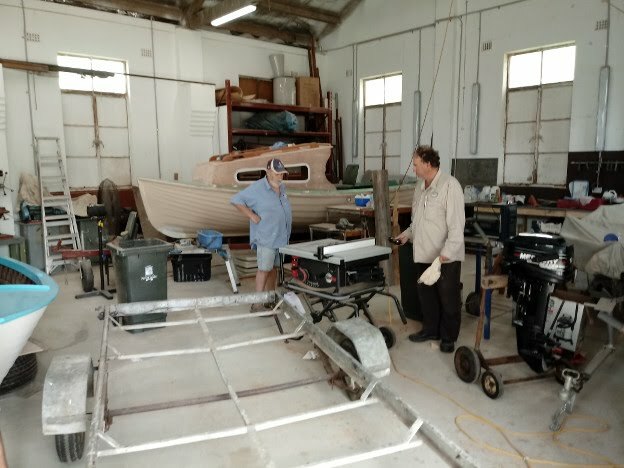 All the details on the webpage: http://www.classicboatassociation.org.au. Some random pics below: note the dinky Skiff trolley.